At the Art Preserve we love what we do - and it shows! We have been providing Professional Custom Framing services for nearly 40 years and still treat every project as if it's our first. Designing your piece should be fun with no pressure, even if you don't know where to start we know exactly how to guide you. Having done thousands of framing projects we know what works and promise you will be delighted with the outcome. 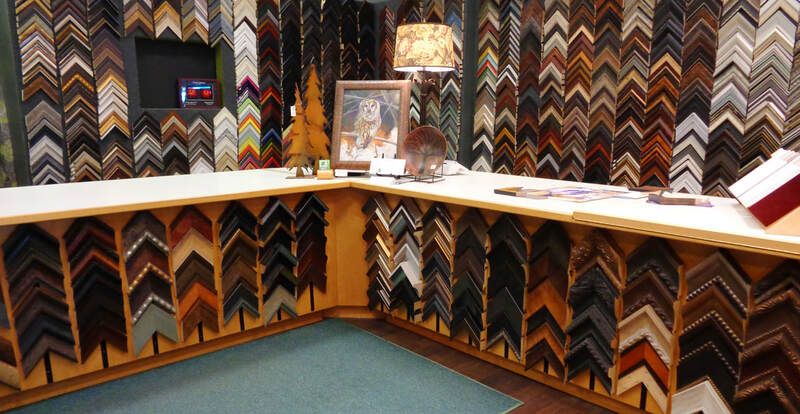 With so many framing options we can fit any budget and often our prices are less then the big box store sale prices. Your art work and mementos will never leave the store as all projects are done on site and usually by the person you designed your project with. Professional, custom, quality service in a beautiful setting, what could be better!